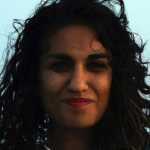 Vrinda is a writer and filmmaker living in New York. You can reach her on Twitter at @clichez4ever. Why Do All the Snapchat Filters Try to Make You Look White?